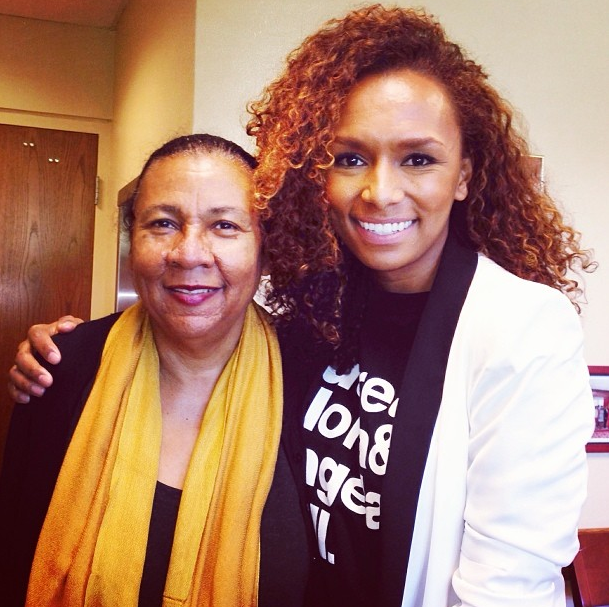 Janet Mock is a courageous author, transgender rights advocate, friend, and role model; she’s an undeniable leader to a more equal world. Soon after coming out as trans in a poignant Marie Claire article, the published author left her career at People Magazine and embarked down a path that merges her love of writing and her commitment to equal rights advocacy. 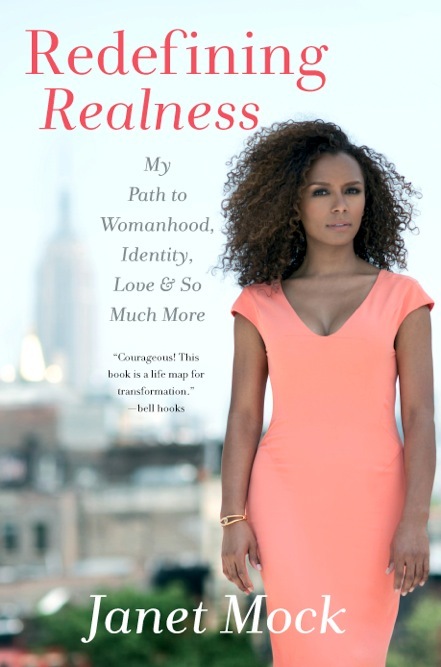 Her newly penned memoir, Redefining Realness: My Path to Womanhood, Identity, Love, & So Much More, is a groundbreaking, accessible resource for anyone seeking guidance on their own journey towards self-acceptance. The text is a testament to Mock’s honest approach to storytelling, and serves as both a compelling personal memoir and an extension of her activism. When asked how it feels to have such influential American authors acclaim her work, Mock explains that she is deeply humbled, being so inspired by hooks, and Smith particularly, when growing up. Mock explains, “With her to have put herself out there with words is astounding. It paints a portrait of sisterhood…” of the encouragement such influential feminist figures are giving her. “I never thought I’d share the space…” she continues, astounded and honored by the acclaim that Redefining Realness has already received. Smith, author of The Truth That Never Hurts, was instrumental in bringing black female authors to the forefront. In 1973 she taught the first-ever college course on literature authored by women of color, and has worked tirelessly for decades to bring visibility to marginalized groups that were allotted no voice, formerly. Janet Mock, in her honesty and active outreach, is certainly one of Smith’s contemporaries, and acknowledges that it is women like Smith that made it possible for her to share her story with the world. As Smith explains, Mock has a masterful storytelling style that “makers her story universal.” Indeed, one of the most captivating things about Mock’s memoir, and her activism, is her ability to take a deeply personal story and tell it in a way that is approachable, wide reaching, and transformative. Accessibility is one of Mock’s most valuable tools – she advocates deeply for making accessible spaces, using language that is open and reachable, and for “not leaving anyone behind.” Merely publishing her story is only part of Mock’s vision to redefine realness; getting the memoir into the hands of those who might benefit it is just as critical as finding words that are accessible and honest. Earlier this year, Mock launched a Storygiving Campaign to make Redefining Realness more accessible to those who could not afford it on their own. She explains, “Though writing and publishing my first book is a dream realized, it was also bittersweet because I knew many community members simply couldn’t afford it.” The Storygiving Campaign provided the book to 127 low-income trans people through donations and outreach, and illustrates the ongoing importance of lifting each other up in order to create social change. Now that Redefining Realness is available for purchase, Mock encourages readers and fans to order it, donate a copy, bring it to their libraries and community spaces, and to spread the word. Similarly, the language that Mock uses in her memoir is carefully constructed in a way that maintains a balance of realness and honesty, but is also accessible to folks from all walks of life. In an interview with One Equal World she explained, “Words can lift people up, but they can exclude people,” which is why she included a list of definitions, and employed deep vulnerability and frankness in her book. Mock was an acclaimed writer even before penning Redefining Realness, which is perhaps why her words, blended with personal experience and a profound commitment to equal rights advocacy, are so compelling. Redefining Realness is for trans women, and for trans men. It’s for cisgender people, and teenagers, and older people. It’s for sisters and brothers, mothers and fathers, and for allies, who Mock urges to use their access to help the voices of others be heard. Redefining Realness is for anyone who wants to experience a raw story unfold before them, and anyone who, like Janet Mock, desires a more equal world.